You never really think about being the victim of a theft, break-in or an act of vandalism. However, in reality, you are just as likely as the person next to you to be a target. I myself was born and raised in good old Idaho. Growing up, people around me would boast about how Idaho is a nice quiet hole in the ground. Somewhere safe to raise a family. As the years go on we can see that Idaho is not exempt from crime. Taking precautionary measures to ensure you, your loved ones, and your possessions are kept safe is a very smart idea. Having a professionally installed security system within your home or your business is one of the best ways to provide safety and peace of mind. The presence of a security system itself can act as a deterrent against burglaries and vandalism. When someone is looking for a place to burglarize and they see security cameras, they are less likely to target your home or business. However, having a security system does not place a protective bubble over your residence. Someone could still attempt to break-in or vandalize the property. With the help of a security system you will be alerted of any disturbances. You could also be able to capture footage of the perpetrator which could help lead to their arrest and retribution for yourself and property. A security system can have many interworking parts to it. Depending on you and your needs, you can establish a system that’s just right for you. 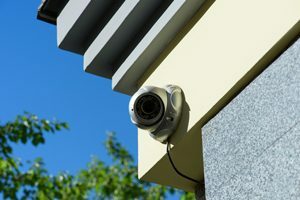 Most commonly a security system will include video surveillance, a monitoring station, lights and an alarm. There are cameras for both indoors and outdoors, providing you with full coverage. Camera technology has advanced greatly over the years. They are now available to be equipped with 4K high-resolution capturing and energy efficient LED infrared lighting for night time surveillance. There are also cameras that can be installed within your doorbell alerting you of any visitors. These doorbell cameras can also be equipped with audio capabilities allowing you to interact with whomever is on your front step. With remote monitoring you are able to have constant connection to your system. Whether to run a quick sweep through your cameras footage or to even alarm your system, you can use your phone for easy access any time anywhere. 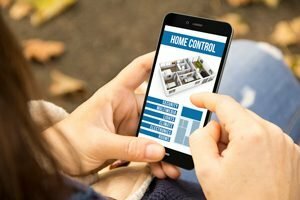 Remote monitoring can also be connected to your thermostat, lights and door locks. This gives you full control of your home or business no matter the situation. Not to mention the saved money from your utility bill! A few other added perks to a security system are things such as pet immune motion detection. If you have furry loved ones at home they could potentially alert your system of an intruder. With the pet immune motion detection, it is programmed to not be alarmed by Mr. Snuggles making laps around your house. This could save you from false alarms; no one wants to be the boy who cried Wolf. Some security companies will even fine you once you’ve had multiple false alarms. This is because it costs time and money for the monitoring company to take actions against intrusion or vandalism. It also costs tax paying dollars to have any emergency personnel dispatched. Another great perk is the advanced smoke detectors. These detectors are able to not only alert you of smoke, but they can sound an alarm for rapid rising temperatures. These few precious minutes of advanced warning can make the difference between your property being claimed to a fire or not. On October 22, 2018, East Idaho News reported on a local Idaho Falls business being the victim of theft. Bybee Excavation was setup at a job site on Hitt Road in Idaho Falls, across from Cabela’s. In an attempt to save on transportation costs the crew left their Skid Loader on site over the weekend. A Skid Loader is a compact machine that is used mainly for digging. It also has the ability to push, pull and lift materials. When the crew returned on Monday they discovered the Skid Loader was no longer on site. Bybee reported that they had recently paid off this machine equipment and is valued between $25,000 to $30,000. When Bybee’s filed the police report they were told to check with local surrounding businesses to see if any had surveillance footage. Luckily someone had captured the theft occurring. A white pickup truck was seen to be driving around the area, as if they were scouting the site first. They then entered the job site with an unloaded truck, and left the site with a Skid Loader in tow. Unfortunately, the thief has not been apprehended yet. 4Sight Security offers Mobile Surveillance Units to help avoid cases just like this. If a neighboring business had not captured footage of the theft, they would have had nothing to build a case off of. 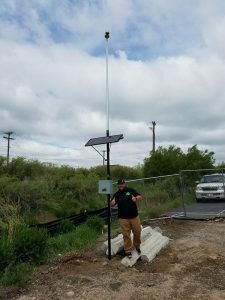 The mobile surveillance units allow you to link to your job site cameras over long distances with easy access from computers, tablets and even your cell phone. On the off chance that the network is down or the connectivity becomes unavailable, the cameras have integrated storage options. This provides a full day’s worth of video storage internally within the camera, ensuring your job site is always watched over. Nothing is more frustrating than having footage that is unusable because of low quality. The mobile cameras also have energy efficient LED infrared lighting and 4K high-resolution! These mobile security systems can be powered either by solar panels or a diesel generator that charges the batteries for those not so sunny days. Don’t rely on others for your business’s security. Take steps today to protect yourself and your company. On October 17, 2018, Jackson Hole Media posted about a recent onslaught of vehicles being broken into. Several residents have reported their car being broken into and property being taken. The Jackson Police Department have stated the acts appear random and have been crimes of opportunity. They urge people to keep their cars locked and any valuables removed. Unfortunately, the thief(s) have not been caught as of yet. When securing your residence, it’s not just the inside that matters. Outside surveillance is very important as well. If any of the above residents had video surveillance it could potentially help identify who was breaking in to their cars. 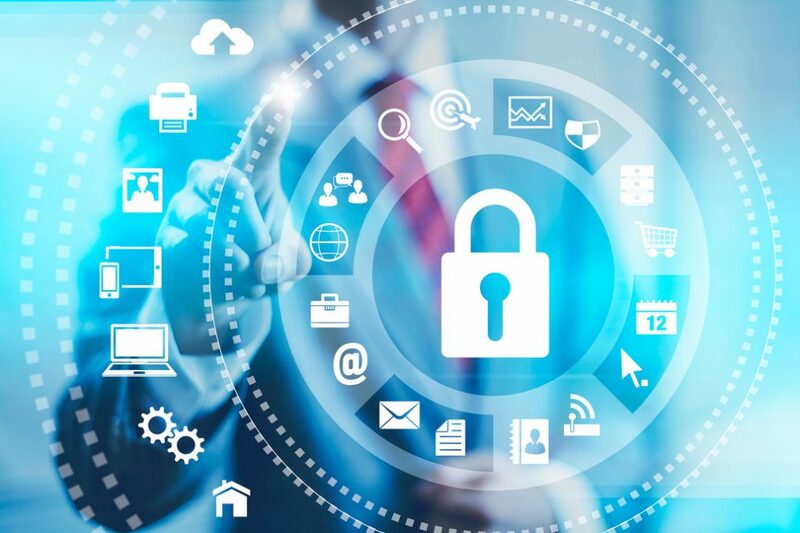 There are many Do-It-Yourself steps you can take to help step up your security game. Such as, always locking your doors and windows, keeping bushes and trees trimmed, keeping valuables locked away amongst other things. However, the best step you could take is to have a professional residential security system installed. A professional will be able to help guide you with exactly what you need your security system to contain to help protect you. With high quality cameras and remote monitoring, you can be alerted immediately of any disturbances and potential threats. Being linked to a monitored system will also help alert the authorities quickly. That way if you’re away from your phone actions will still be taken instead of waiting for you to be alerted first. As the saying goes, better safe than sorry. Even if you feel your neighborhood or place of business is safe and you’d never be the target, you do not know when a random act can make you the victim. Having a professional complete the installation of your security system ensures you your system is fully setup, functioning and ready to go. Don’t wait any longer to protect yourself and your property. 4Sight Security services East Idaho cities such as Idaho Falls, Rexburg, Pocatello, Victor and Driggs along with Jackson and Alpine Wyoming. Contact 4Sight Security today to have them help you get that peace of mind.